You may have seen a lot of ads or websites saying “We Pay Cash for Homes in Calgary!” or “Sell Your House Fast in Calgary” or “Guaranteed Sold”. What Does The Whole “Cash For Homes” / “Quick Sale” Thing Mean? 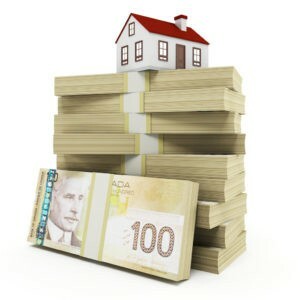 At CA HOMES, our cash for homes in Calgary program is simple. Either way, a company that says “cash for houses” in or around Calgary simply offers a service as an alternative to you listing your house with a real estate agent or selling it yourself. or give us a call at 403-283-6777. This helps us learn basic info about your house so we can make an educated and fair offer on your house. Many “cash for houses” or “we buy houses” companies throw out low ball offers without learning about your house. We try to learn as much as we can about your house and your situation so we can make sure our offer is the highest possible price we can pay for your house, and a fair offer for everyone. 2) Take as much time as you need to see if the offer is right for you. There are no hassles when working with us. We make you a fair offer, you can then take that offer and talk to people you trust, shop it around, whatever. We never want to do a transaction unless it’s an absolute fit. 3) We draw up the paperwork and handle everything from start to finish. You just have to show up at closing on the date of your choice, and sign the paperwork. 4) You get cash in your hand quickly, rather than waiting months and months selling the traditional route. We do more than just buy houses and close deals, we will be there with you every single step of the way. So if you don’t want the hassle of listing your house, don’t want the hassle of showings and if you don’t like the idea of your home sale process getting extended for several weeks or months — We can help! Yes you can sell your house fast in Calgary. Once you contact us, we will take care of everything necessary so you can sell your house fast in Calgary. We keep your sale simple, quick and hassle-free.